Providing stunning Sydney limousines for all occasions. Take the hassle out of getting to and from your special event and leave the driving to us. 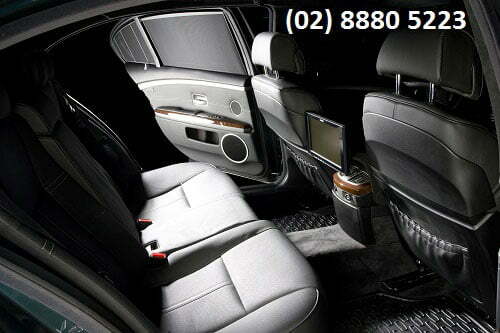 Choosing to Hire a Limousine in Sydney provides many benefits. When you combine all of that with affordable and competitive prices there is no doubt that Limousine hire in Sydney is perfect for those special occasions. When you need limousine hire, Sydney Limo provides you with a choice of stylish and prestigious sedans, stretch limos and even stretch Hummers. We have a range of modern models and colours to choose from to suit your every need. Our sedan limousine hire cars are great for moving small groups of 1-4 people. You can also take advantage of the boot space to easily transport luggage or other items between destinations. Limousine hire in Sydney is very popular. There are literally thousands of ultra-modern and stylish prestigious hire cars driving all over Sydney. You can benefit from our limo rental service as we give you access to the best limousines Sydney has to offer. Choose from popular models such as Chrysler 300C, BMW 7 Series, Mercedes S Class, Audi A8 and of course the stretch Hummer limousines. Leave it to our professional and experienced chauffeurs to take care of your travel around Sydney. No more offensive behaviour from taxi drivers or people on other forms of transport. Instead, you can relax and be safe in the knowledge that when you travel with us you will be treated with respect and courtesy. And when you do you will be travelling in ultimate style and luxury in your chauffeur driven limousine hire car. Professional chauffeurs and luxurious limousines. The hardest choice is deciding which Sydney limousine to hire.